I'm two thousand miles away from Spain, but I'm leafing through the old art album and feeling something in my soul. Not only the feeling of a different era. 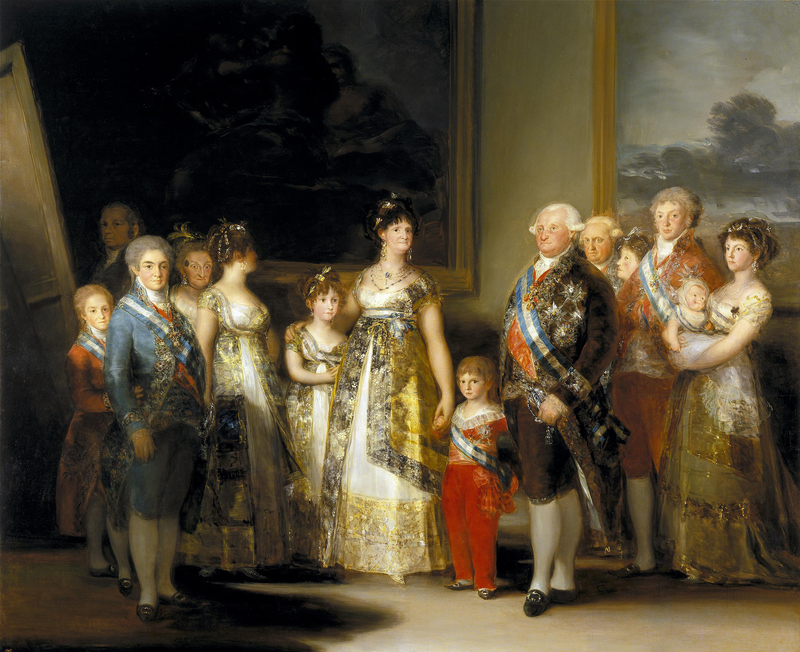 The great teacher, the mentor, Francisco Goya, had his very own unique and universal language, and even today, two hundred years later, he is not only understandable but brings people together. What a compliment to the artist! 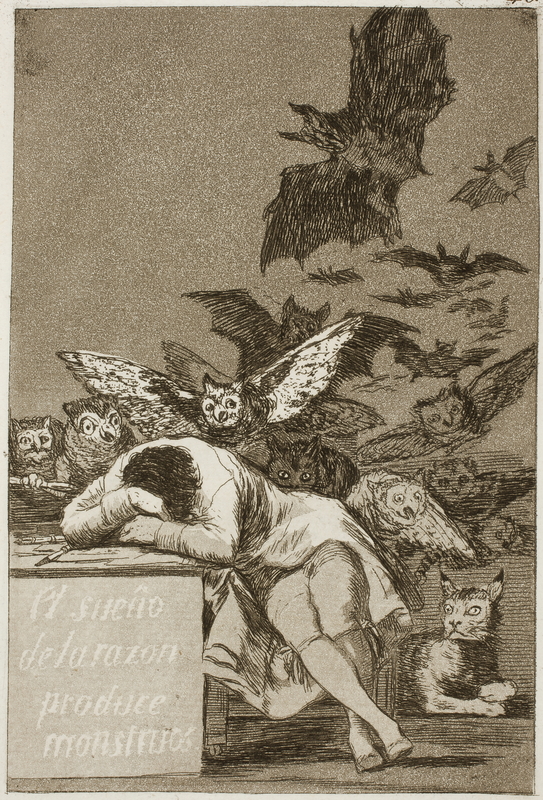 "..never was there a less harmonious genius, never a Spanish artist more local than Goya." What is important is that Goya is one of the very few artists who, having achieved fame and recognition, was able to turn 360 degrees and completely change his style. On the brink of the 18th and 19th centuries (difficult years for European history), he overcame a crisis of world perception and realized his principles. His later paintings and engravings are much more interesting. They are masterpieces of not only national but also world art. For two centuries, they have kept the interest, relevance and power of artistic influence on the mind and feelings. The artist's personality is always under the magnifying glass of researchers, art historians and writers. They seek in the peculiarities of his life path the key to understanding the secrets of his artistic perception and creative achievements. 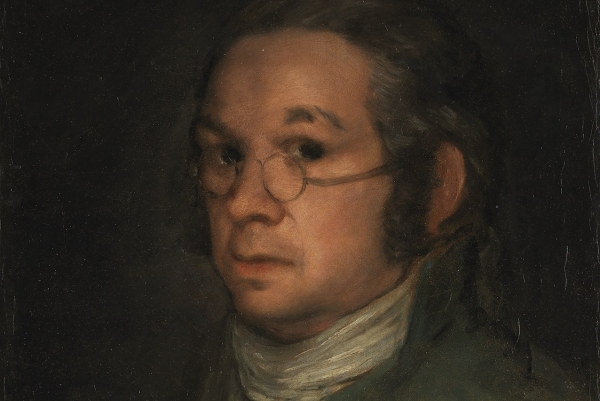 Goya was born in 1746 in a small Spanish village. 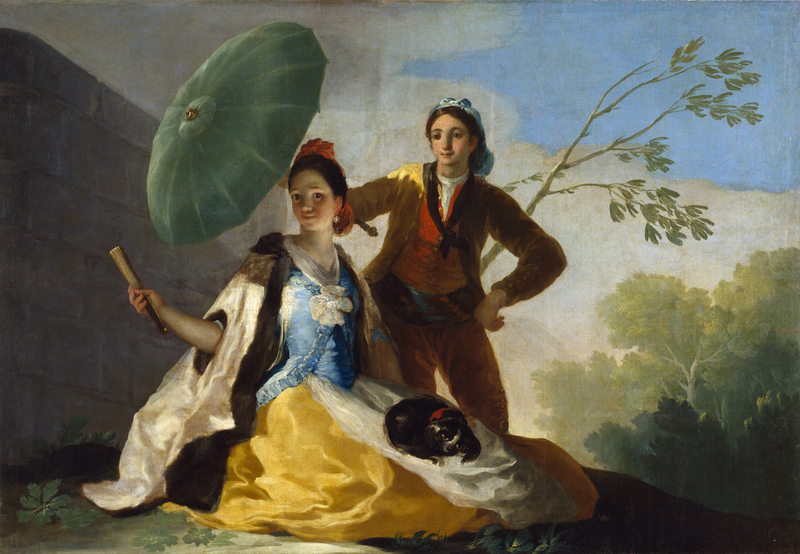 In 1760, he moved to Zaragoza and began to study art. After 15 years he achieved success and began working with royal orders. He was inspired by the style of the Old masters of the 17th century and called Diego Velasquez a teacher. He painted the king, princes and other significant people of his era. In 1780 he was elected a member of the Madrid Royal Academy of Arts. After the French Revolution, which was a very meaningful event in the history of Europe, Goya fell ill. The disease began to affect his attitude. Recklessness intensified because of the humanitarian crisis and the mood of society. He became withdrawn and introspective while the direction and tone of his work changed. He began the series of aquatinted etchings, published in 1799 as "the Caprichos". It was a criticism of human vices. Before that, human stupidity was scrutinized only by poets or orators. Each of 80 prints received author's explanations and comments. In those days it was believed that in features of a human face one can see the qualities of a character. 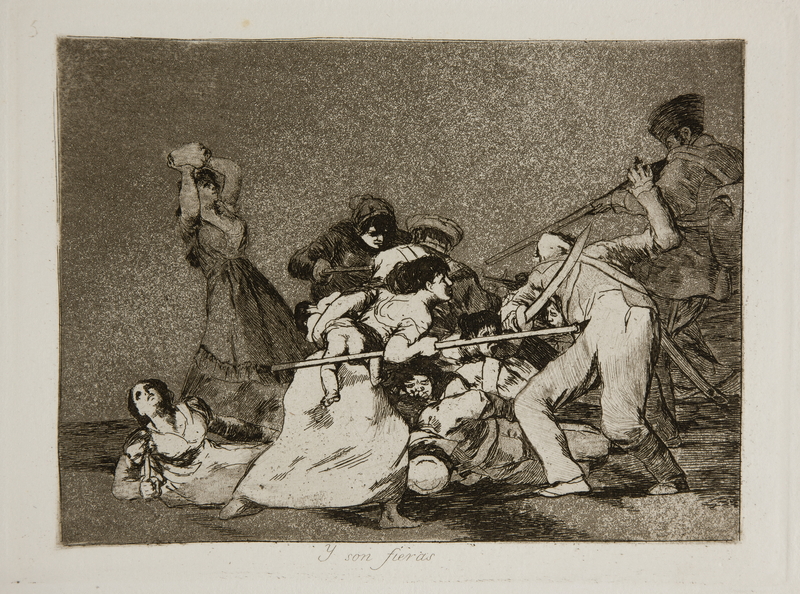 Therefore Goya portrays his heroes as gruesome and hideous, laughing at the society. Alas, Caprichos did not arouse the public interest. People were not interested in looking at the criticism of themselves. His time came later. Caprichos became popular only in the 19th century. Modern researchers are trying to determine a link between engravings and Spanish tales, fables, Voltaire, Faust and the French revolution. I'm inspired by the vision of the artist. Every picture. Numberless details and cleverly chosen plot. Parallels with the contemporary world. Two hundred years ago, people did not have the accomplishments of the modern world, but, surprisingly, they were very similar to us. Some people were selfish or sinister,treacherous or dramatic. And only few could see these features well. The artist had no intention to expose the shortcomings of any particular person. His talent was much wider, he captured and conveyed to us the state of the whole nation, based on strong and vivid characters. In 1793, Spain went to war against the revolutionary new French Republic. The Napoleonic War left Spain economically ruined, deeply divided and politically unstable. 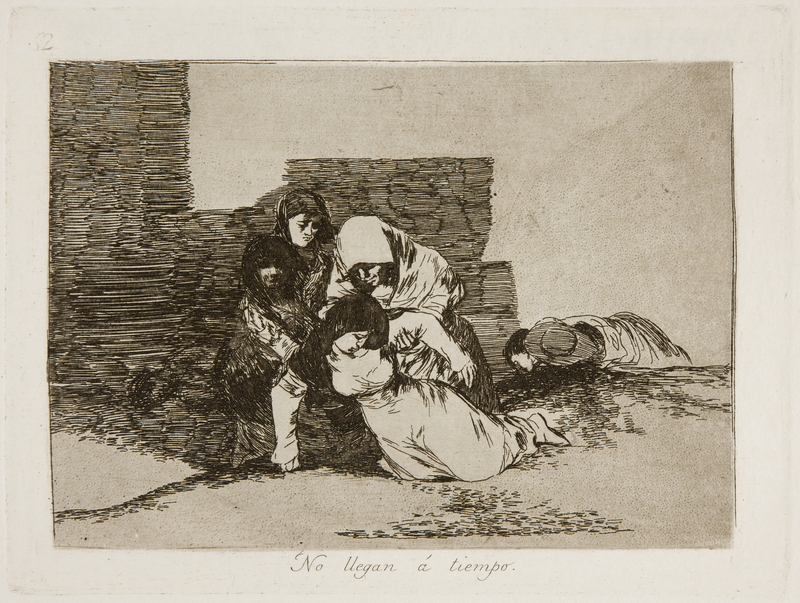 Goya reacted to this event as an artist, but in a series of his works you can see much more: an internal tragedy, caused by experience and pain. A series of engravings about the war is commonly called "Disasters of War." The aristocracy expected new and revolutionary ideas from Napoleon, but the only thing received was death and pain. The hometown of Goya, beautiful and elegant Zaragoza, was occupied twice. He visited his homeland, talked with people, saw with his own eyes destruction and horrors. He deeply sympathized with his nation and was very worried about Spain. The pathos of engravings is not anti-French, but anti-war. War is an inhuman and antimoral phenomenon. Neither side of the conflict can justify the slaughter. For me, these ideas are the pinnacle of patriotism and national pride. Wisdom worth studying. Unfortunately, a single artist cannot stop the war. But his creativity can be a moral guide. I'm sure Goya got what he wanted. Maybe it's just a drop in the ocean. But he makes the viewer think! And dozens of people could understand what they did not think about before. Artistic expressiveness is very advanced. The wickedness of the war has a lot in common with the Impressionists. The beginning of the 19th century in the creative dialogue with the beginning of the 20th. 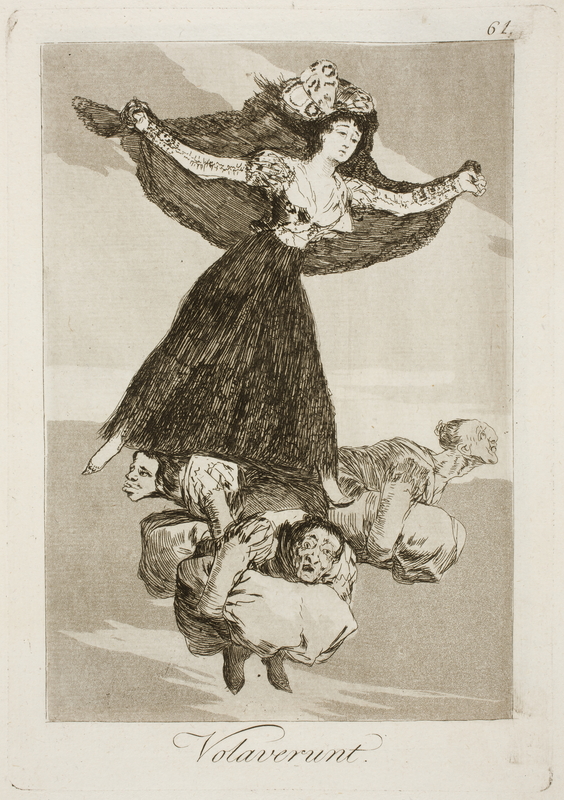 Goya could not reconcile himself with political changes in Spain. The last 4 years of his life he spent in France. He hid from cruelty and peacefully worked on new paintings. He died in 1828 in Bordeaux. His paintings will never die. A few weeks ago in the Museum of Art of Bogdan and Varvara Khanenko, which is in Ukrainian capital Kiev, I saw a beautiful scene that proves my point of view. It was only half an hour before closing. The keeper of the museum, a policeman, wandered through the empty hall. He slowly passed by the huge golden framed canvas. Then he stopped by a small glass case with Goya's lithographs. I can not imagine what he was thinking at that moment. I would not like to speculate on the topic. But I think that the artistic expressiveness of these engravings is beyond any doubt. That's why they are so valuable. And so important. This is my tribute to Francisco Goya. The great Spanish artist became famous for his different styles. He painted kings, scenes from the Bible and those horrors of war and imperfect society. Wars are still happening, society is still imperfect. But he loved his country with all its shortcomings. He believed in it, being an example. For the many, not the few.